2019 began with a trust “bang” when Salesforce CEO Marc Benioff announced a new position in his company. Essentially, after some deep soul searching, this CEO recognizes that most large organizations, including the tech sector, have a trust problem and he is committed to solving that. Marc is one of a small yet growing cadre of enlightened leaders, and with the appointment of Paula Goldman from Omidyar Network, Salesforce now has a Chief Ethics and Humane Use Officer. I recently asked a few of Trust Across America’s Trust Council members to weigh in on how Paula can be most effective in her new role. As the CEO says, it’s been “dark days” for the tech industry, which is by no means an overstatement. With so much change leading to an aggregation of power in the big tech companies, the industry is long overdue for a reckoning. By appointing a senior executive to begin to manage such issues at his company, the CEO is demonstrating intuitive foresight and risk assessment. I also imagine he has seen the disasters that befall companies that fail to value ethical leadership and culture as a key company asset. That’s quite a high minded and open-ended title to the extent it opens the door to confusion and misinterpretation. Ms. Goldman should do what I often coach new chief compliance and ethics officers (CECOs) to do: refine her title and ensure she has a clear written mandate for the role that is understood and agreed by all of senior management. Make sure to have clarity of your role. Many a “Chief Ethical Officer” has found out that he or she is ultimately like an appendix. I have always believed that ethical culture is a line rather than a staff function. Also, try to figure out what “humane use” really means. Another early area of concentration for anyone new to this role is to establish key peer and mentor networks to support them as they navigate the often rocky waters in which any new function/executive must exist and succeed. The challenges for BigTech feel analogous to those faced by the defense industry in the 80’s, and it seems natural that a shared endeavor to address the risks of compliance and culture could prove as productive and proactively beneficial as the early Defense Industry Initiative did for BigDefense in the 80’s. Seek input from multitudes of sources inside and outside the company as to the ethical and humane issues that are frothing to the surface in the coming years. Enlist a large cross-section of volunteers from inside and outside the firm who agree to think deeply about these issues and offer their counsel on how to deal with them. These volunteers should be wildly diverse in age, gender, disciplines, experience, political views, and other areas of difference. Assemble a small group of volunteer colleagues inside the firm to crystalize and summarize the input and views from above to discuss with her superiors at Salesforce with recommendations on the top few issues on which Salesforce wishes to take an initial public stand. Focus on establishing criteria that recognizes the fundamental needs (economic, social, intellectual, purpose) of ALL stakeholders, and seek to establish a dynamic process of attempting to assess and ultimately balance these needs and stakeholders. Create a process for internal feedback and discussion so as to be open and transparent inside the organization so that even if some people might disagree with the decision, they might still have felt heard and understood (even if not agreed). “Declare your intent” as to what you’re doing, and especially why you’re doing it, so as to be clear and transparent about agenda and motive. 1. 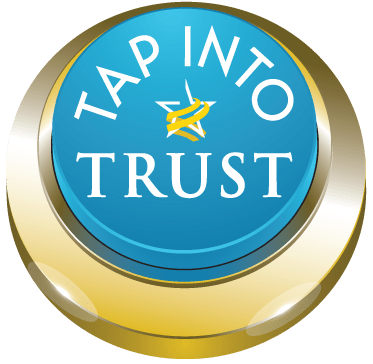 Our TAP program, guiding principles developed over the course of the past year by our global Trust Alliance, and currently accessed over 30,000 times. These Principles, available in 16 languages, can elevate trust in any organization of any size. We have recently completed Phase #2 providing a series of discussion questions for implementing each Principle. Should Paula Goldman be reporting to the Chief Equality Officer or someone else? Will Paula’s role simply be to ensure that new technology initiatives remain ethically “compliant” or will the position go beyond this somewhat limited scope? While our ten years researching the trustworthiness of public companies points to the conclusion that “no company is perfect,” how exciting to start 2019 with this news from a visionary leader in the tech sector. Well done. Now the “hard” work starts. You can read Marc Benioff’s announcement at this CNBC link. As you note, Marc Benioff has a well-deserved reputation as an ‘enlightened’ leader. That fact alone bodes well for Paula Goldman. When it comes to trust, more than for most corporate initiatives, success lies not in clarifying reporting relationships or defining initiatives, but in visible actions and open discussion. What will make the difference are things like role-modeling; engaging in Socratic dialogue; showing how principles apply in specific situations; changing the vocabulary; seeking teachable moments. I’d advise Ms Goldman to make good use of the bully pulpit she’s been handed. Trust ultimately shows up at the personal level, in thousands of interactions. If she can highlight, talk about, and show what those interactions should look like, she’ll be successful. Thank you Charlie. As you mention, visible actions and open discussion will make or break this new role. A great start to the year indeed! Trust is the number one issue for tech companies in 2019. Regaining for some and building and protecting for other companies. I agree, the success of this role will come down to actions, behaviours and open, inclusive communication.